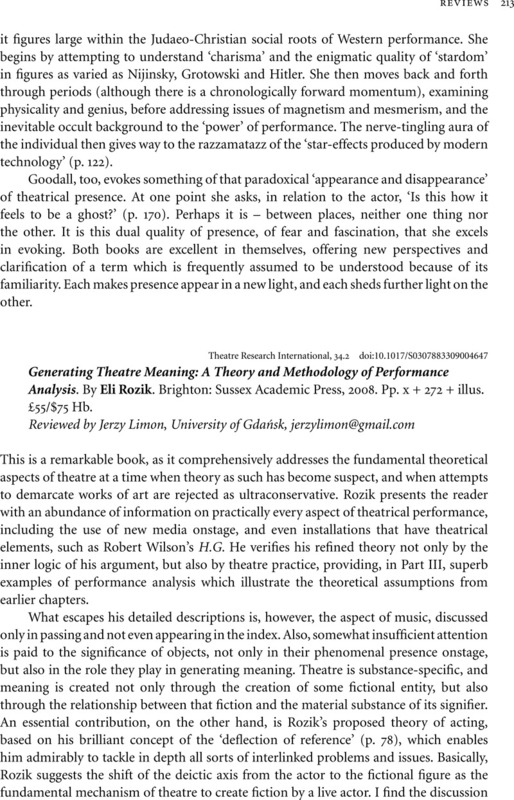 Generating Theatre Meaning: A Theory and Methodology of Performance Analysis. By Eli Rozik. Brighton: Sussex Academic Press, 2008. Pp. x + 272 + illus. £55/$75 Hb.